Writers Horoscope November 30: Your captivity yields a discovery. Once you establish your ‘focus’ mindset, you can release the shackles (getting a bit dramatic here, aren’t we?) and work elsewhere. But does that choice mean you’re taking a chance? At alienating an audience? At annoying an editor? At disregarding the usually treasured advice of a colleague? And that choice might mean a complete change in direction. You tilt toward fiction. You opt out of long, luxurious passages for a staccato delivery. You drop the local writing group that’s lost touch with its members’ needs. Lots of ways to go with this writing thing. Writers Horoscope November 24: You have the deciding vote. Especially in what you’re writing. Yes, you might have to sacrifice a few gigs. But you can look yourself in the mirror, convinced you followed your own compass. Writers Horoscope November 23: Today, you write to thank someone. Perfect time of year for it, of course. There’s a good chance someone out there has shifted your writing life in a positive direction. You don’t even have to trot out the flowery prose. Just talk to them on paper. Keep it simple and sincere. Then, go old school and pop it in the mail. 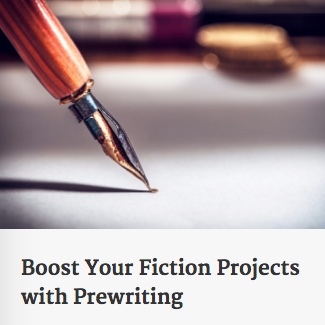 Polish off that piece of pumpkin pie and find that pen and paper. Writers Horoscope November 22: You take the eclectic approach to your day-launch. Sometimes you’re not sure where to start. Maybe you don’t need to lock yourself in. I’ve been using the template above for the last month. Here is my Eclectic Journal prototype, along with a third page detailing the origins of three of the components. I hope it works for some of you. And feel free to pass it along. Writers Horoscope November 21: Today, you open Pandora’s box. You knew it was in there. an ever-expanding inventory of ideas. Just play and see what materializes.